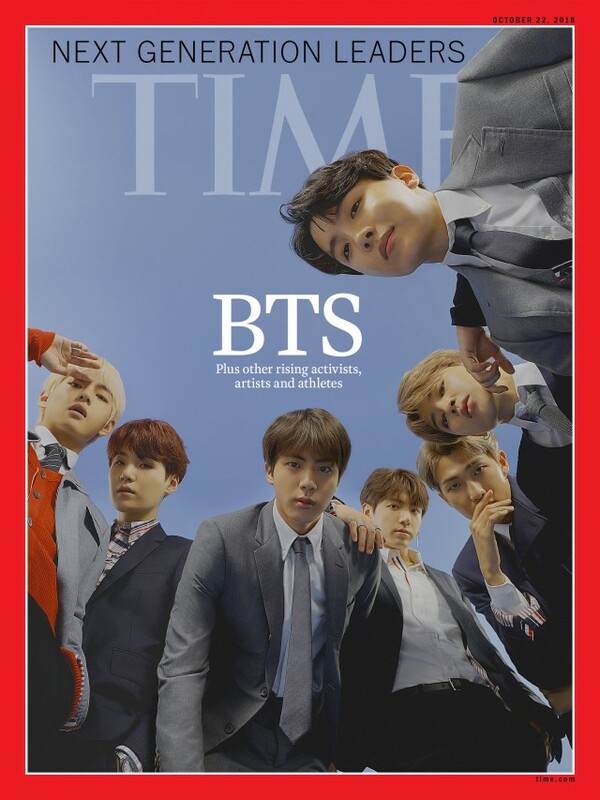 Time magazine has hailed K-pop superstars BTS as “next generation leaders” in a front cover feature. 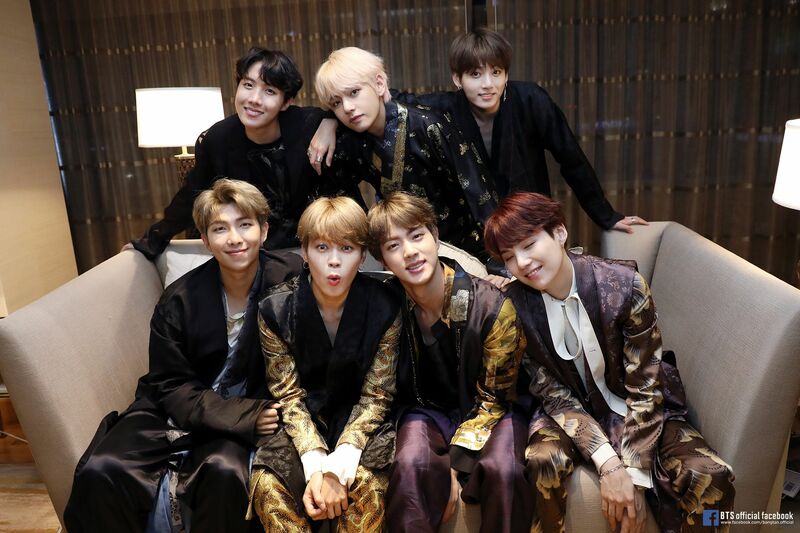 After being formed in 2013 by South Korea’s Big Hit Entertainment, the seven-piece boyband are now one of the biggest acts in the world. This year the outfit (their initials now stand for Behind The Scene) landed two #1 albums in the US, with Love Yourself: Tear and Love Yourself: Answer. Time called Jimin, Jin, Jungkook, J-Hope, RM, V and Suga “young trailblazers who are reshaping music” because they’ve become a world phenomenon while singing mostly in Korean. In the advent of streaming, more non-English language songs are becoming massive global hits, and BTS are literally poster boys of this trend. Earlier this week BTS won Favourite Social Artist at the American Music Awards. One of the reasons they’ve struck such a chord with the 15—25 age group (aside from the obvious) is for the way they have given away hundreds of thousands of dollars to charities. On September 24, they attended the United Nations 73rd General Assembly in New York for the launch of the youth initiative called Youth 2030: The UN Youth Strategy and its corresponding UNICEF campaign “Generation Unlimited”. The whole objective of the program is to provide quality education and training. RM nervously delivered a six-minute speech in English about self-acceptance and the group’s Love Myself campaign. He connected the Love Yourself message with the idea that young people need to speak up for themselves and let their desires shape the world around them rather than be shaped by the world. This was exactly the philosophy which got them the Time tribute. RM pointed out “As a Korean, we love our country and we’re proud of our country so much. Suga added. “Many in our parents’ generation were born right after the Korean War. “So they grew up not being able to eat or dress well. “But in our generation, we — our parents’ sons — are spreading Korean culture as its representatives, and seeing how much of Korean culture we are able to spread these days. “Those from my parents’ or my grandparents’ generation, even more so than those from our generation, are very proud of us. Time also acknowledged other young trailblazers as 19-year old French soccer hero Kylian Mbappe, Ariana Grande, outspoken British model Adwoa Aboah, actress Amandla Stenberg who is candid about her sexual assault, US socially acute comedian Hasan Minhaj and Argentinian women’s rights activist Sabrina Cartabia. Also acknowledged were marine conservation biologist Christine Figgener who showed the world the danger that plastic straws posed to turtles, Saudi storyteller and anti-violence activist Fatima al Banawi, British cellist Sheku Kanneh-Mason who became a global star after playing at the royal wedding this year, computer scientists Rasha Abu-Safieh and Bassma Ali and inventor of Africa’s first medical computer tablet and pioneer of cardiac health care Arthur Zang.